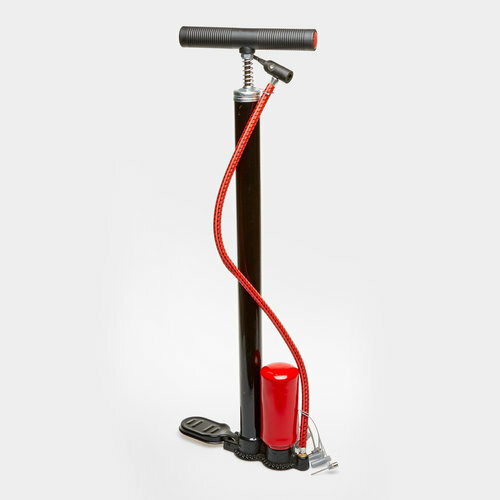 When you need a pump that quite literally stands up to the job, then the Mitre Heavy Duty Stirrup Pump is just what you are looking for. The robust design incorporates a spring valve lock, large handle, flexible attachment and solid fold-up footplate. Everything about this pump has been designed for performance and tough usage, making it easy to have balls ready for training and matches in no time at all. A practical black and red look sports the Mitre branding along the tube.